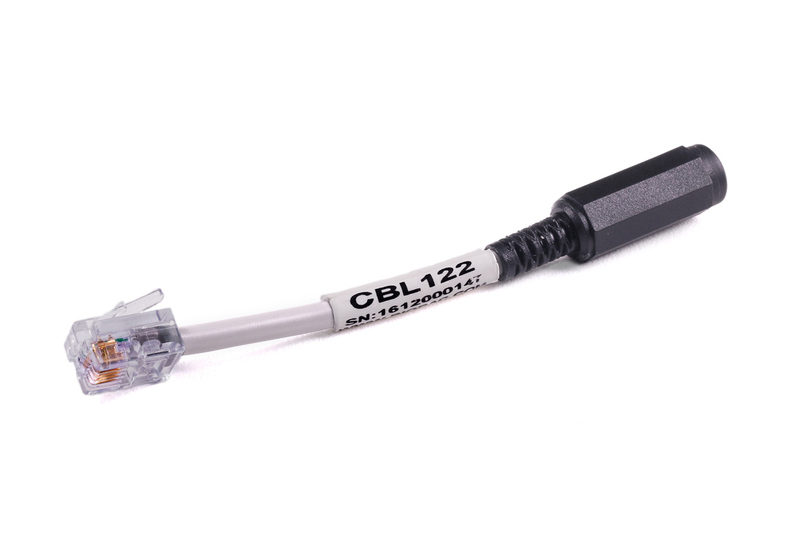 CBL100 Series analog connection cables connect stand-alone equipment to an MP System. Analog outputs from chart recorders, preamplifiers, oscilloscopes, force plates, chromatographs, etc. 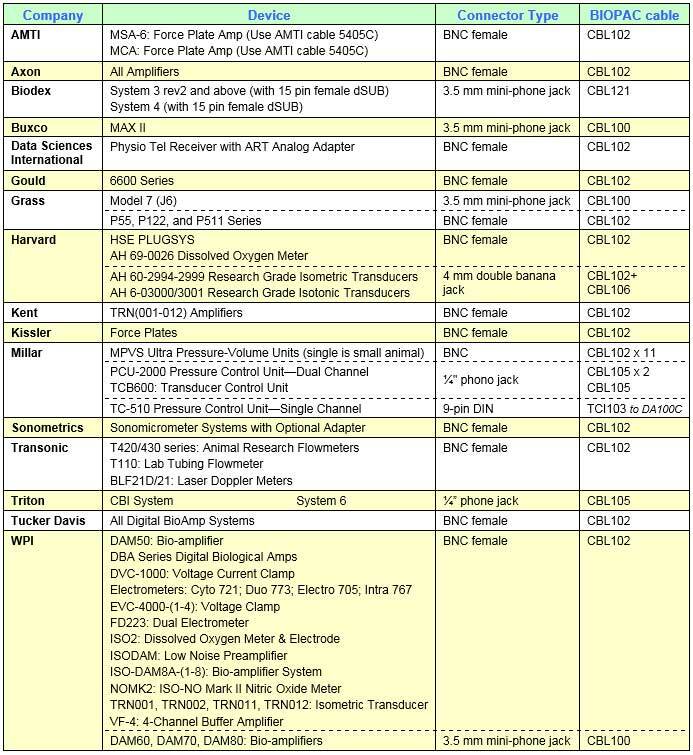 can be connected to the HLT100C, UIM100C, or other MP System modules. 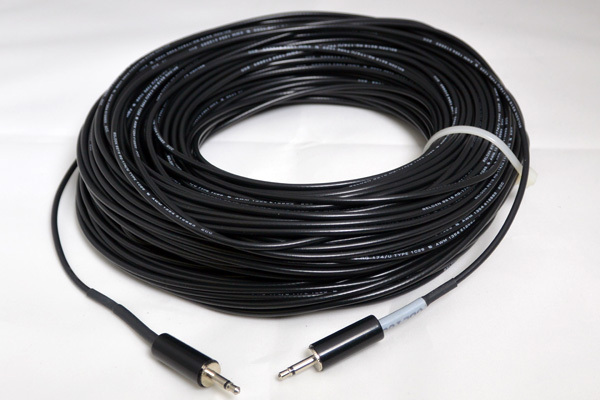 It’s also possible to use these cables to connect amplifier outputs or D/A outputs to external equipment inputs. 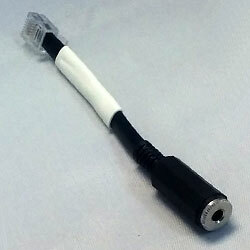 When signal isolation is required, use the INISO or OUTISO adapter with the cable. The other end of the isolation adapter connects to the appropriate MP unit channel via the HLT100C module. Select the cable number with the plug corresponding to your equipment’s output or input jack. 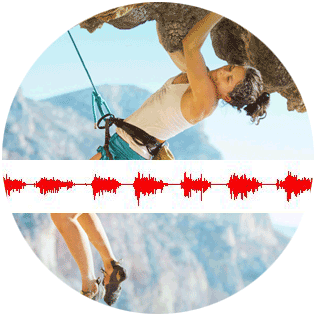 Use one cable per recording channel. Select the cable option with the plug corresponding to the output jack of the equipment. 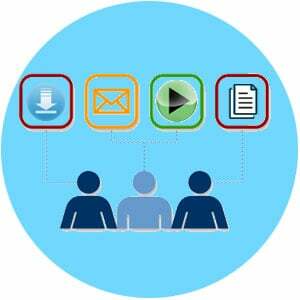 Use one cable per recording channel. 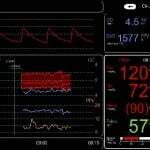 CBL106 10 cm; 2 mm pin plugs to female BNC. 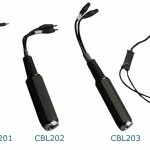 The CBL106 is a multi-purpose adapter that can be used to connect BNC terminated equipment to the DA100C; BNC cable to digital I/O lines on the UIM100C; STM100C to nerve conduction chambers (via the CBL102). 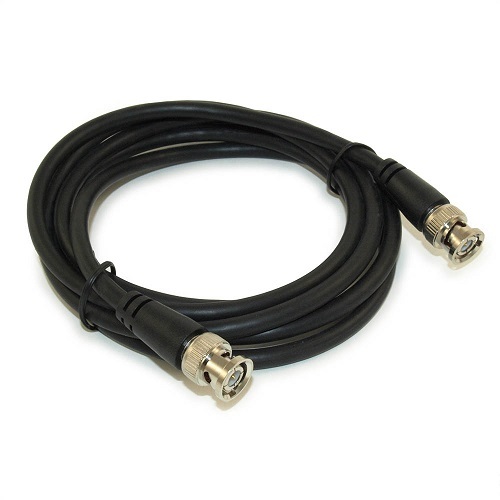 CBL118 60 meter lightweight coaxial cable with RCA male plug to RCA male R/A plug for TEL100C. 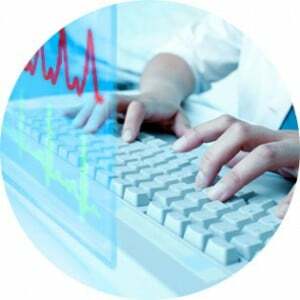 Minimizes hindrance caused by multiple heavy cables. 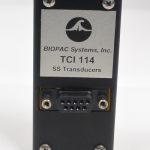 It can be used to extend the operating distance of the TEL100C system (TEL100D-C receiver to TEL100M-C transmitter). 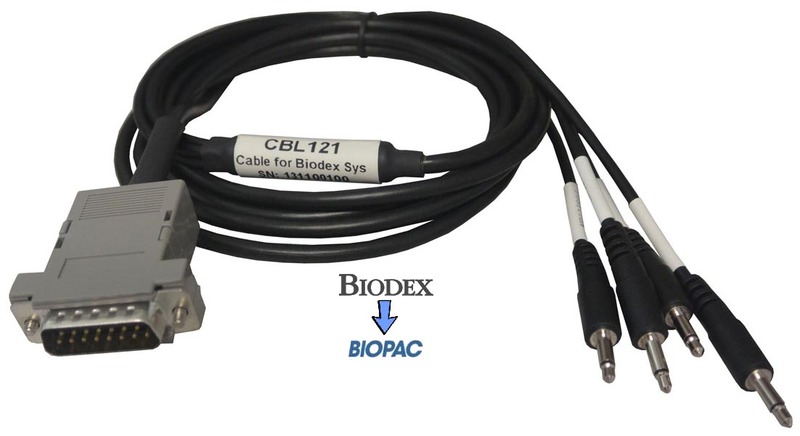 CBL121 This cable will connect Biodex System 4 or System 3 rev2 and above devices to a BIOPAC MP160 or MP150 System to report Torque, Velocity, Position, and Sync values. 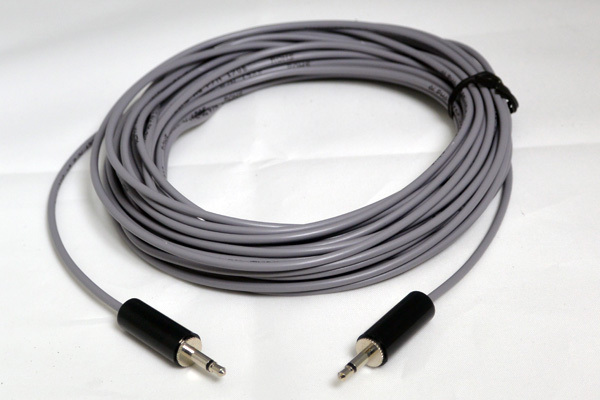 One end of the 3 meter cable terminates with a dSUB15 male connector to interface the Biodex device, and the other end terminates with four 3.5 mm phone inputs to connect to the MP160 via HLT100C or to the MP150 via INISO to HLT100C if MP150 isolation is required or via UIM100C if MP150 isolation is not required. 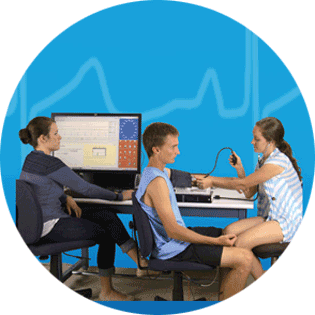 Important Safety Note: Biodex devices are mains powered equipment. 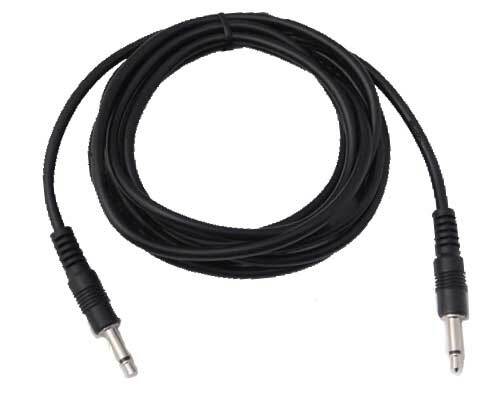 If any other wired (non-BioNomadix) connections from the MP150 to the subject exist, this cable must be used with INISO Input Signal Isolation Adapter with HLT100 High-level Transducer Amp to maintain proper isolation. 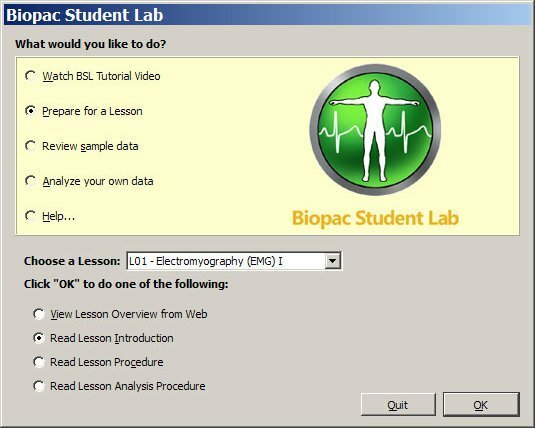 Isolation is recommended if the MP System is also connected to subject-connected biopotential modules, such as EMG100C, ECG100C, etc. 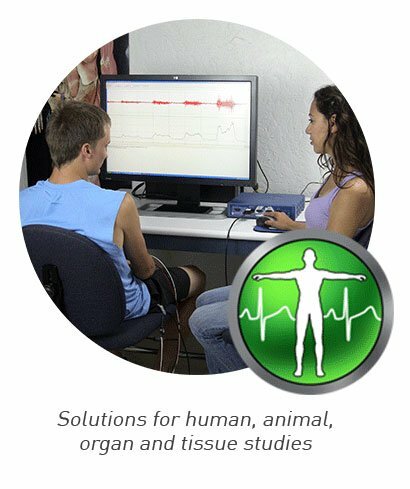 Additional details for use with Biodex devices available in BIODEX EMG/ANALOG SIGNAL ACCESS CONFIGURATION UTILITY SOFTWARE – Addendum for System 3 Revision 2 and System 4 Dynamometers. 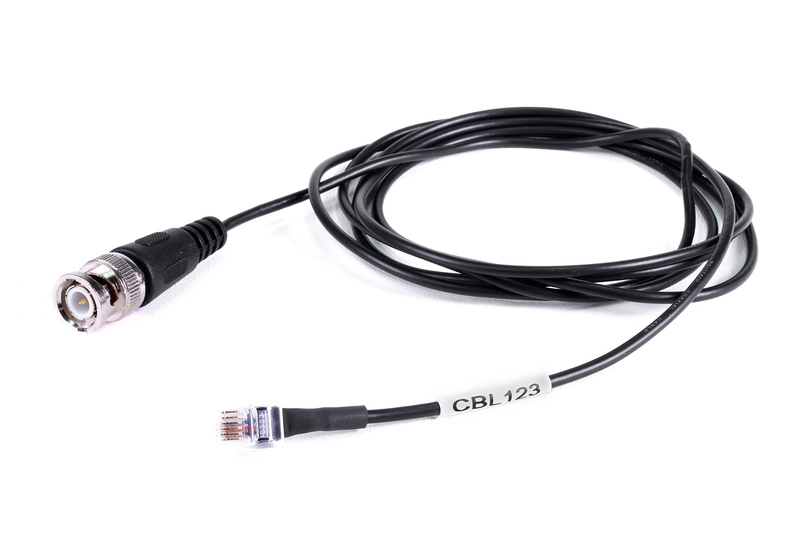 CBL123 Unisolated RJ11 to BNC Male, 1.8 m cable allows equipment with BNC outputs to a connect directly to an HLT100C when no isolation is required (e.g., animal) without any additional adapters. 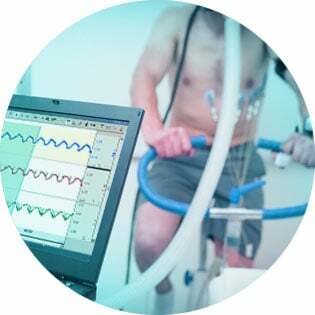 This cable is unisolated and must not be used with external equipment when a human subject is connected to the MP system unless the external equipment has its own built in isolation. 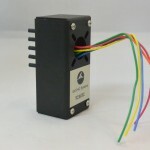 CBL124 Unisolated RJ11to two 2 mm sockets, this Switch Adapter allows a digital switch (i.e., TSD116A or TSD116B) to be connected to an analog input of the HLT100C. When the switch is open the channel will read zero volts; when the switch is pressed/closed the channel will read 5 volts. 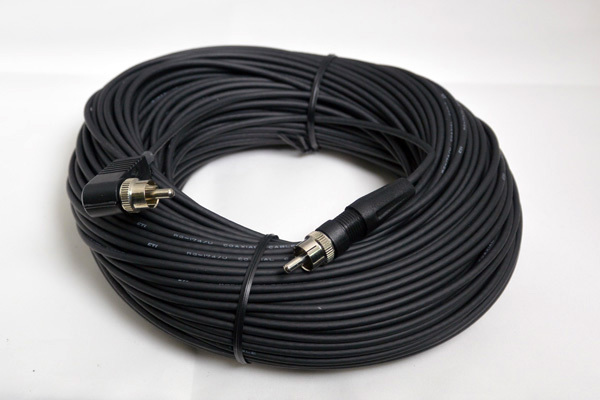 This cable is unisolated and should not be used to connect external mains powered equipment or other switches that make electrical contact with the subject. 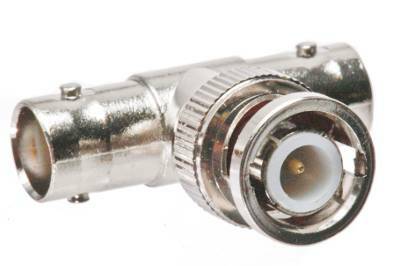 CBL125 BNC male to BNC male, Nickel Plated, 2 m RG59 Coax cable; typically used to interface the STP100C or STP100C-C to devices that use BNC (Bayonet Neill-Concelman), such as FNIR Imager trigger ports. Typically applied for frequencies below 3 GHz; Ohm Rating: 75. CBL110A DB37 F/F Ribbon Cable. Use this 3-meter ribbon cable to interface a SuperLab presentation system with the STP100C Isolated Digital Interface for an MP150 or MP100 System. Pins 19 and 21 are GND; pin 20 is +5 V.
CBL110C DB25 M/F Ribbon Cable. Use this 3-meter ribbon cable to send digital I/O info to the STP100C Isolated Digital Interface to interface visual presentation systems that use a computer’s parallel printer port (E-Prime, DirectRT, MediaLab, Inquisit, etc.) with an MP150 or MP100 System. Pins 18 and 25 are GND. CBL110C-Y This Y-adapter for the CBL110C parallel port cable allows users to interface the output from a parallel port with two devices, the STP100C and another piece of hardware. 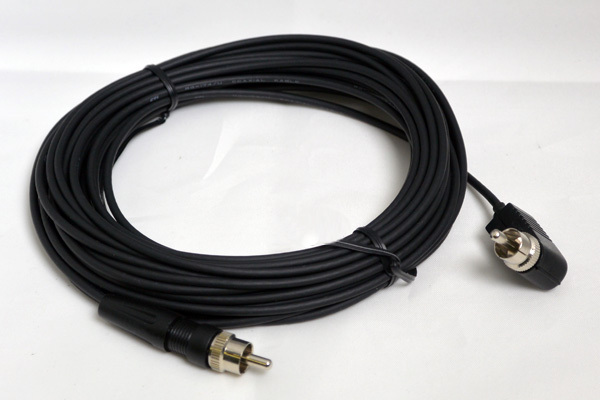 DB25 parallel male/dual female Y-splitter; 20 cm (8”).